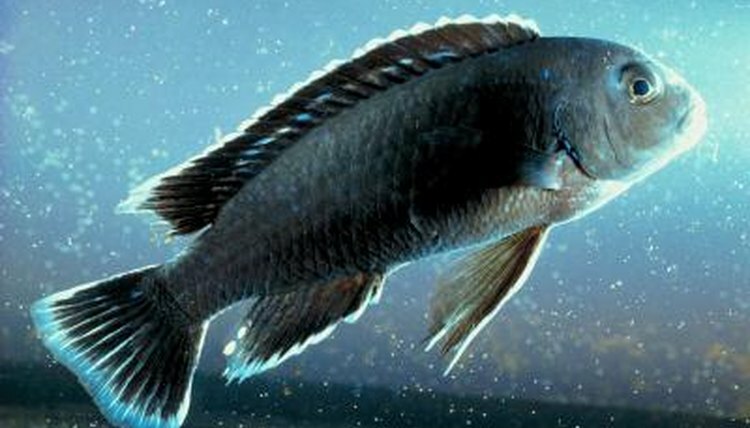 The family Cichlidae contains many fish infamous for their aggression, and renowned for parental care of their young. Locking lips means different things to different cichlids, and can even change depending on the situation. Since it can signify either fighting or breeding, a fish-keeper should pay attention when they see this behavior. Many species of cichlid grab each other by the lips to wrestle. Males most often engage in this behavior. This behavior can stem from a territorial dispute or showing off for females. Cichlids can injure each other pretty badly with this behavior. It can be a good idea to separate fish when you see this behavior. Some cichlids press their lips together during courtship. This may seem obvious to humans, but this behavior is much less commonly a sign of affection in fish. This behavior is nowhere near as common as the aggressive, “lip-wrestling” between males. Since this kind of behavior can mean different things, it’s a good idea to do some homework. Research your individual species to figure out if this is aggression or courtship. As a rule of thumb, male-male jaw-locking tends to be a serious sign of aggression, while male-female pairs engaging in this behavior tend to be undergoing courtship. Aggression among cichlids can be a problem, as it leads to stress and injuries. The first step to mitigating this is to research your species before you get them. In some species, males of the same species can’t share a tank. Avoid getting males of similarly-colored species. And, based on your research, keep the right ratio of males to females. These vary considerably based on your specific species of cichlid. You may need to move fighting fish to different tanks or install a tank divider if your cichlids’ fighting gets serious.